FRIDAY, April 7, 2017 (HealthDay News) -- Sometimes the treatment for heart problems may be more aggressive than it needs to be, according to Consumer Reports. Heart disease requires emergency medical attention when someone is having active symptoms, such as chest pain and shortness of breath. But excessive heart screening tests associated with false alarms can cause unnecessary anxiety and lead to a series of costly and risky procedures, the new report stated. Overtreatment for heart disease can lead to complications and worse outcomes, cautioned Dr. Marvin Lipman, the chief medical adviser at Consumer Reports. Low-risk patients with no worrisome symptoms who've been told they should undergo certain heart-screening tests should speak up and ask their doctor why these tests are necessary, he advised. "If you don't get a satisfactory answer, politely decline it or ask for a second opinion," Lipman said in a news release from the organization. Electrocardiogram (EKG or ECG): This test may be needed for people who have warning signs of heart disease, including chest pain. Anyone at risk for heart disease who's starting an exercise program may also benefit from this test. 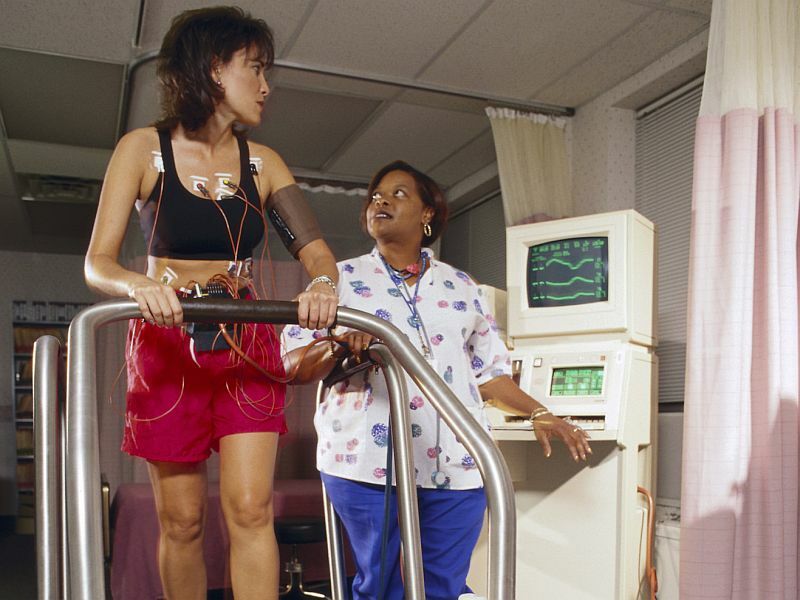 Exercise stress test: This test may be done along with an EKG. It also might be done if you've had unusual EKG results. Abdominal aortic aneurysm test: This test may be useful for men aged 65 to 75, especially current or former smokers. It might also be helpful for those with detectable lumps in their belly. The benefits of this test aren't as clear for women. But it may be considered useful for women 65 or older with a history of smoking. Peripheral artery disease test: Anyone who suffers from cramping in the hips, thighs or calves while walking or exercising may need this test. Carotid artery imaging: This test may be helpful for people who've had a stroke or a mini-stroke. CT angiography: This test may be useful for people who receive inconclusive EKG or stress test results, and those with chest pain. The report was published online April 6, and is in the May print issue of Consumer Reports.